MS-3209 is a useful 3 way tool for extracting and inserting F connectors in hard to reach areas. Use the bit to flare the braid to make cable insertion on the connector easier. Ideal for CATV, SATV installation and removal jobs. Extraction tool allows easier access to cable TV "F" jacks and ports, especially in thigh density panels. 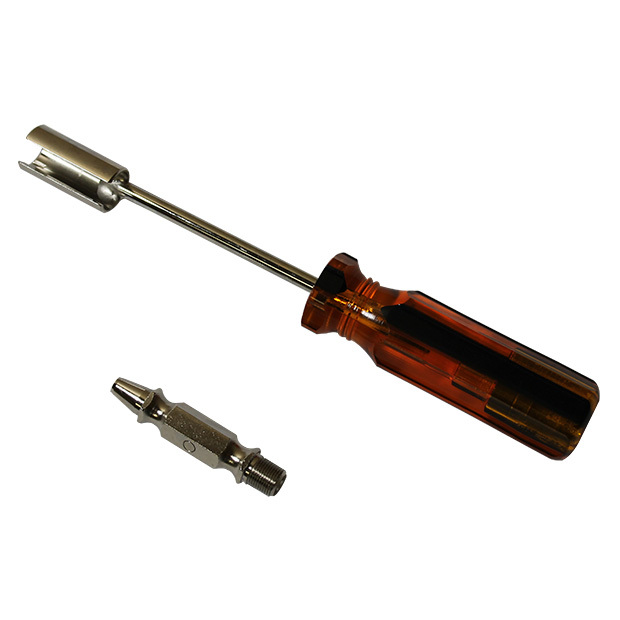 Threaded insertion tool for holding CATV F connector while inserting RG6 cable. Flaring function to flare shield braid and enlarge space between shield and insulation.